Golf is a fantastic sport for your kids to get in to. It keeps them active, teaches the value of patience, and provides an excellent opportunity for parent-child bonding. To help get your kids enjoy golf, however, you need to make sure that they have the best gear so that they will be successful on the course. 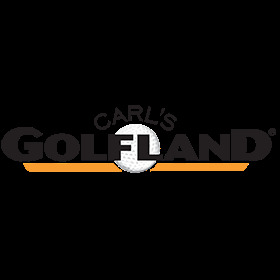 Get your kids the apparel they need to succeed with our collection of kids’ golf clothes at Carl’s Golfland. If you’re playing with substandard equipment, you can’t play at your best. It’s the same for your kids. If you want your kids to be successful at golf, you need to make sure that they have the best quality gear at their disposal. Our collection of junior golf clothing at Carl’s Golfland is filled with performance-enhanced golf apparel that is designed with athletic success in mind. Synthetic fabrics, innovative designs, and expanding technologies will keep your children cool, comfortable, and relaxed while on the course, letting them rise to the top of their potential. Everyone likes to win, and by getting your children performance-enhanced apparel, they will be more successful at golf and will enjoy it more as a result. As an additional benefit, buying quality kids’ golf clothes gives you big savings when buying apparel for your children. Since golf clothing is naturally formal, you can use collared golf shirts and flat-fronted golf pants as attire for your children to wear to school and church, as well as while playing! Our collection of youth apparel includes subtle color tones and tasteful designs to ensure they are appropriate for any situation. There’s no reason to buy clothes that you don’t need: get extra value out of your kids’ apparel with our junior golf clothing today! At Carl’s Golfland, we have many different items of youth golf apparel to outfit your kids for success. We have clothes for boys and girls of all ages and all sizes to make sure that we have clothing that fits your children perfectly. We offer free shipping on orders of $50, so you can shop smartly by bundling multiple items together in one order! If you have any questions about our kids’ golf clothes, just give us a call at 877-412-2757 and one of our junior golf apparel experts will help answer any questions you have.